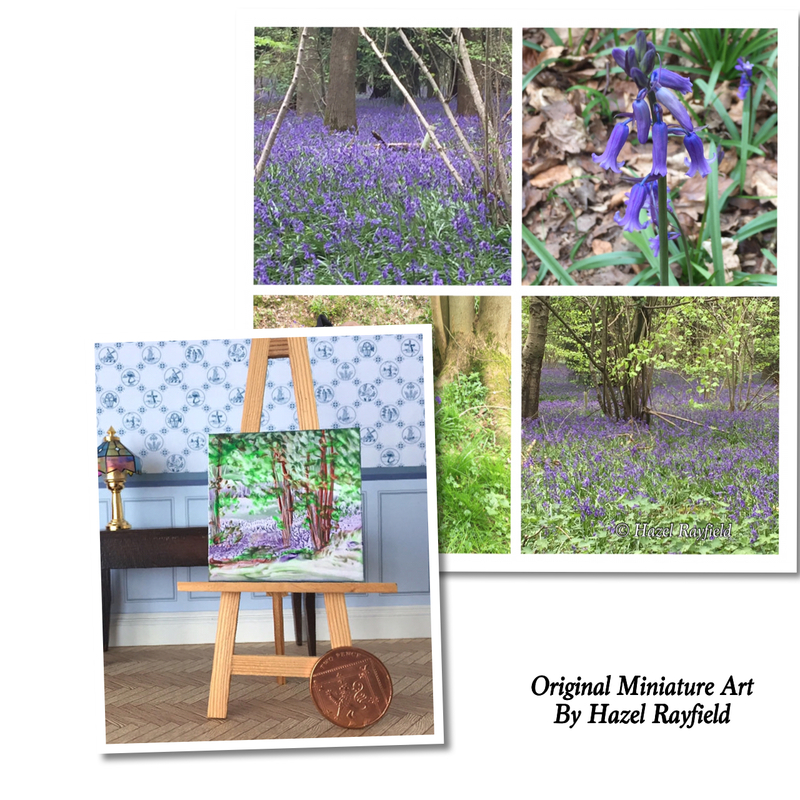 Inspired by our walk in the woods at Hanningfield Essex over the Easter holiday weekend I decided to paint some of the amazing array of bluebells we saw on our walk. We have been tobsee the bluebells here before but this year they really are out in full, apparently it is an early show this year so we were especially pleased to see them and enjoy the colourful display. This is my take on a miniature bluebell landscape, I hope you like it. It is 2×2 inches and currently listed in my Etsy store. To buy this piece of Dollhouse art ….. If you would like a special picture painted by me just for you. In my style naturally I don’t do copies or reproductions. Contact me via this website and we can discuss your requirements. Collectible doll house miniature art painted in encaustic wax paint – Not a toy and not suitable for children.